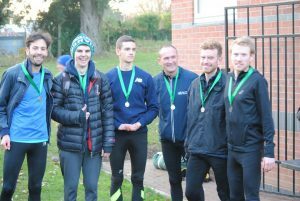 Bournville Harriers Men’s XC team were Silver medallists at the 2018 5 & 7 mile Midland Counties Cross Country Championships which took place at Bulwell Hall Park, Nottingham on 17th November and four of the team also made up the successful Silver medallists in the Inter-Counties Championships for Warwickshire. 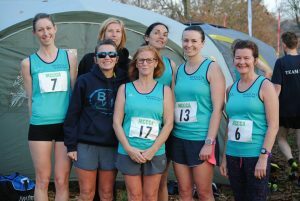 The Women’s team also had a successful day out finishing in a very respectable 7th place. James Drakeford and Rhian Littlewood, Men’s and Women’s Team Managers respectively, fielded strong teams for the Championships in the midst of a busy season and with some excellent performances from the whole squad the depth holds promise for the next league races which take place on 1st December. Well done to everyone who took part including supporters, and Suzanne Bunn for the photos featured here.